Plastic door conquered the market two decades ago, and now they are used everywhere. The plastic is very practical and affordable material, so it is quite natural. Doors that are easier to design and produce, and consumers in turn, they like the fact that provide sealing and have relatively small mass. For plastic easier to maintain when compared with many other materials, including wood or iron. However, in the process of using the input system of plastic appear all the same problems as in other cases. The door may SAG, rubbing on the box to touch the floor — similar defects will bring a lot of trouble. But even without the wizard I can fix this, it is enough to read the instructions. In any case it is impossible to bring to such a situation, when the door is just stuck or do not come in a box. From time to time need to be adjusted as a preventive measure. 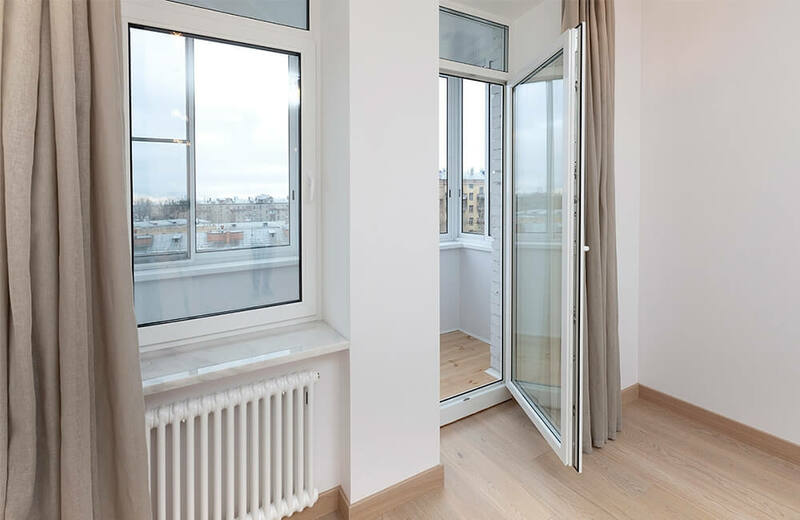 There are several reasons for adjusting the position of the doors. First, it is the shrinkage of the building. The phenomenon is typical for new buildings and is considered normal. Secondly, to the need of regulation leads to improper operation of the door Assembly. Use the valves and knobs for hanging items like clothes and towels, leads to an increase in load on the loop, in advance are not prepared for this. Sagging fold — another reason for position control. The fact that the door leaf itself is a heavy construction, this process will happen in any case. Rapid or frequent temperature changes is the reason from time to time to adjust the design, as all this leads to depressurization. Door systems of PVC is also susceptible to such effects. It is also recommended to regularly check the gaps and distortions in order to track the dynamics of possible changes. Plastic constructions are characterized by high strength, even without metal inclusions. This includes interior doors made of plastic. With the design a bit more complicated. 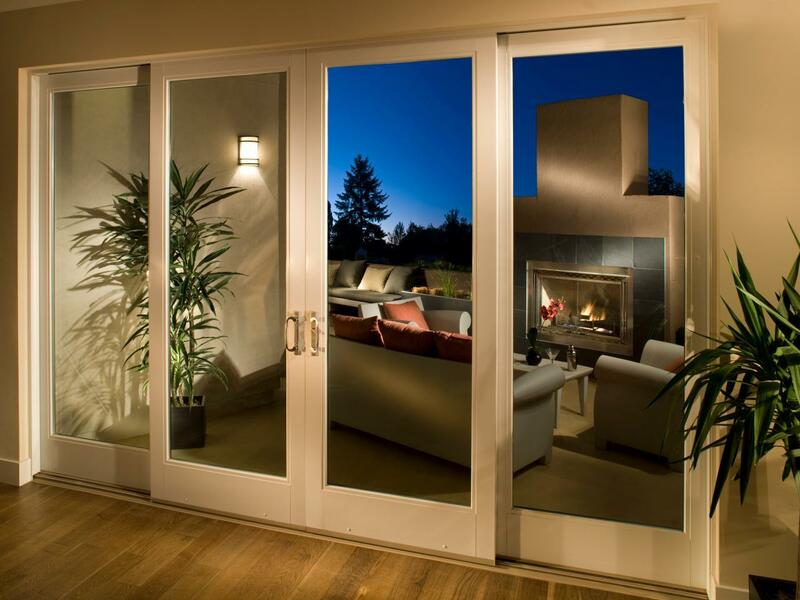 Distinguish between sliding, folding and hinged doors. Construction of the first category represent a system of two valves moving in different directions on the guide rails. 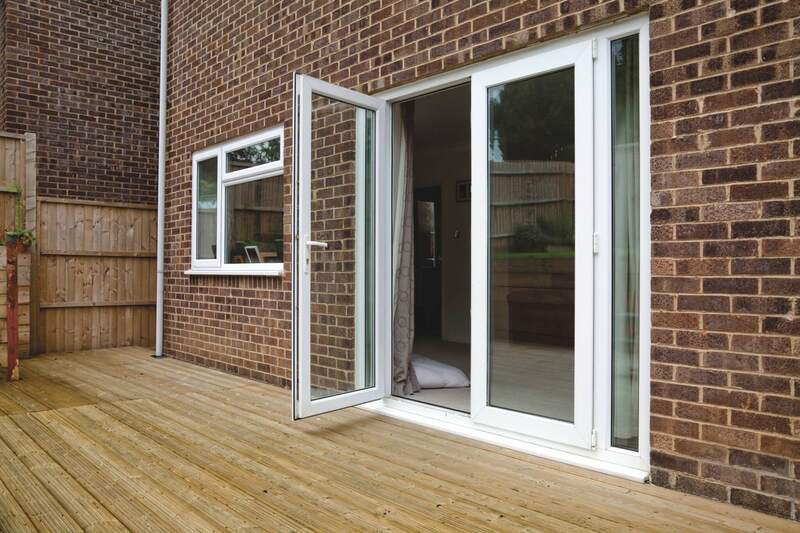 Sliding plastic door often complemented by automatically opening. Such systems react to pressure on the lower platform. Such doors save space, but make a lot of noise and expensive. Folding systems consist of two or more folding flaps. They are also called “accordion”. 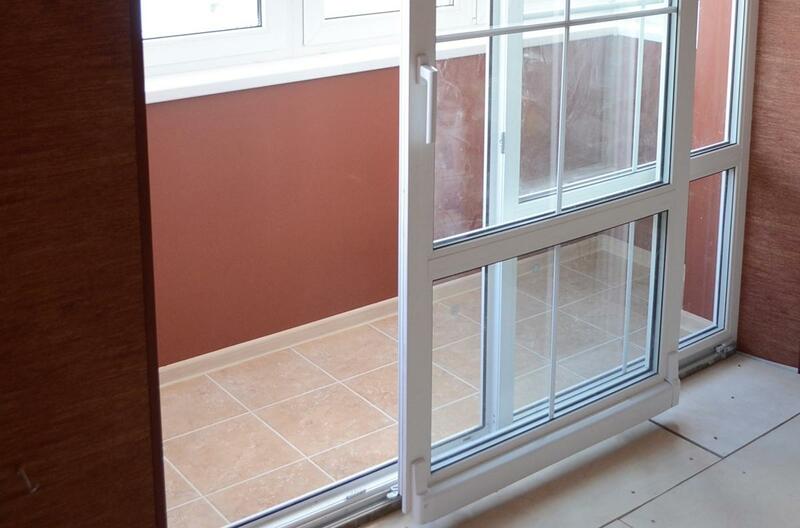 Because of the joints of the insulation in the folding plastic doors worse. Hinged systems are single and double and open on/off yourself. The door can SAG under the influence of its own weight. This sometimes happens with plastic doors, despite the relatively small weight. Sometimes the painting “mowing” in direction. Its condition is checked by holding the line. Estimated parallelism relative to the bottom of the opening. One of the most common reasons for adjustment becomes loose in the mounts. A lot depends on the structure: with one door that happens regularly, others rarely. 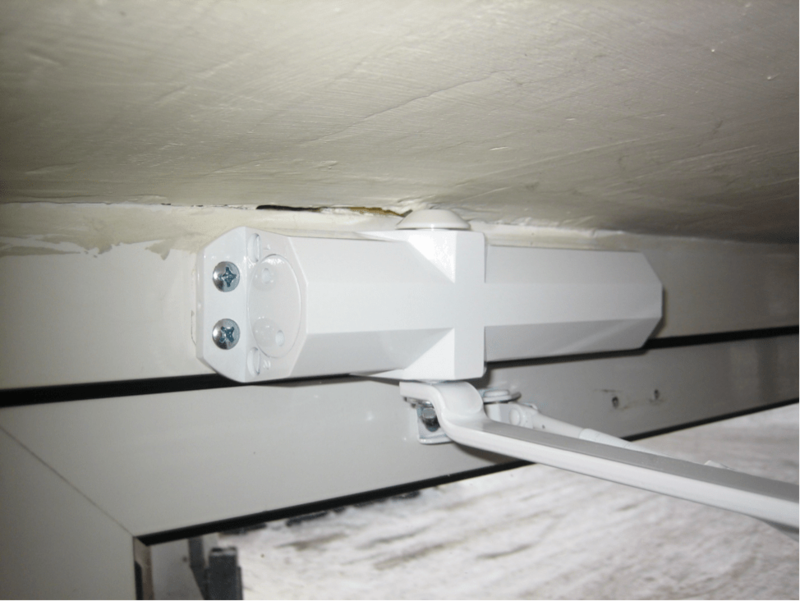 In most cases, it is necessary to correct hanging out of the handles and fix the fastener on the hinged loops. These items need to follow in order to correct the defects. Other signs of a need to control infiltration of cold air and increase the level of noise in the room. Sometimes when closing the sash there is a sound of friction. This means that the door is beginning to hurt the duct and the required adjustment loops. 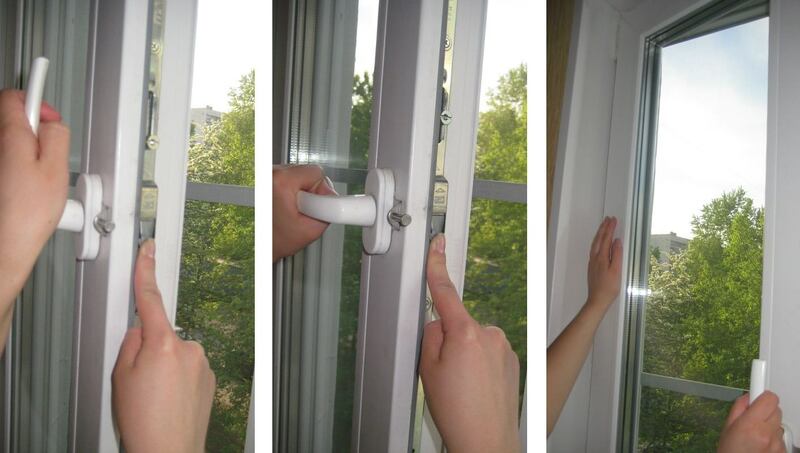 Happen also problems with the locking device of the lock is in the closed condition of the door or in any position. To adjust and simplify the process a standard set of tools prepared in advance. Among the most important tools pliers, Phillips and flat screwdriver, l-shaped keys with a 6-sided cross section (also known as furniture keys). In the absence of the latter house will need to go to shops building hardware. We recommend that you collect the tools in several sizes, in the range of 1.5—5 mm. the Whole set will cost about 500 rubles. Phillips and flat screwdriver can replace a screwdriver with the right bits. Most commonly used nozzles T and TX. A screwdriver will also be useful in another sense. He released his hands from the extra work. Still need scissors to cut the seal, and needle. To correct minor problems with the location myself. Initially competent installation will contribute to the fact that the moment came soon, however, if irregularities have been detected, to postpone their removal later impossible. It is connected not only with the possible expiration of the warranty period. First, the guarantee itself already constrains the actions, as any intervention will give the manufacturer a reason to deny the corresponding service. And secondly, there is the possibility that you have to buy a new door at my own expense. If the warranty is no longer valid or the decision was made to make adjustment yourself, you need to accurately comply with instructions and recommendations of specialists. Special attention should be paid to the adjustment fasteners. 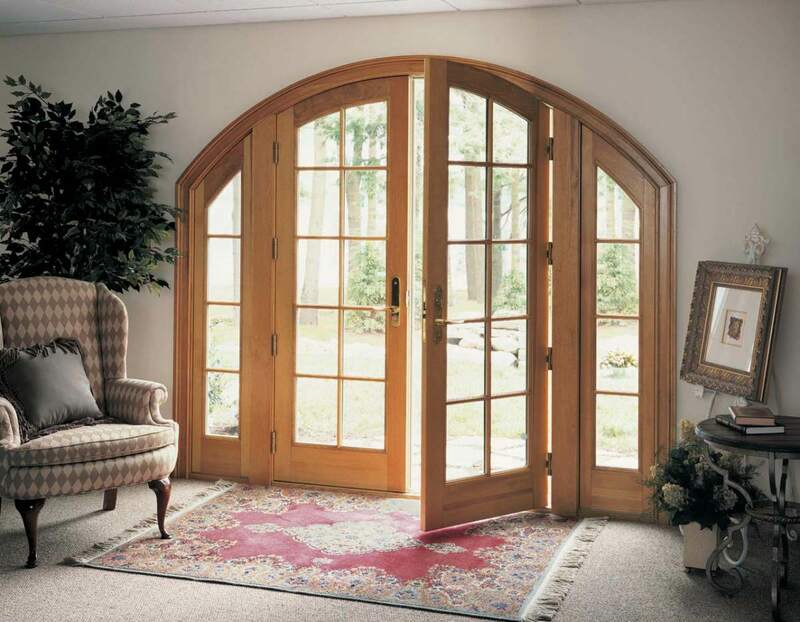 To improve the indoor comfort by increasing or decreasing the tightness of the door Assembly. Changing the position in the horizontal plane. Setting hinges, hinges and canopies. To adjust the canvas height better right after was seen of roughness or nicks on the seals. To change the position of the blade will need to pull the lower hitch loop. Actions performed by a particular algorithm. First, we get access to the adjustment screws on the bottom of the loop. Usually they are hidden under a decorative strap. This element is removed by movement on itself and upwards. The action to be performed carefully, because over time plastic becomes prone to drying and treccani. Further work with the screw of vertical adjustment. Sent to the head of a 6-sided wrench of the desired size (typically 4 mm). Then rotate it. Movement in a clockwise direction will raise the flap, and the reverse omitted. Some manufacturers of door assemblies instead of the hexagonal hole has a “star”. 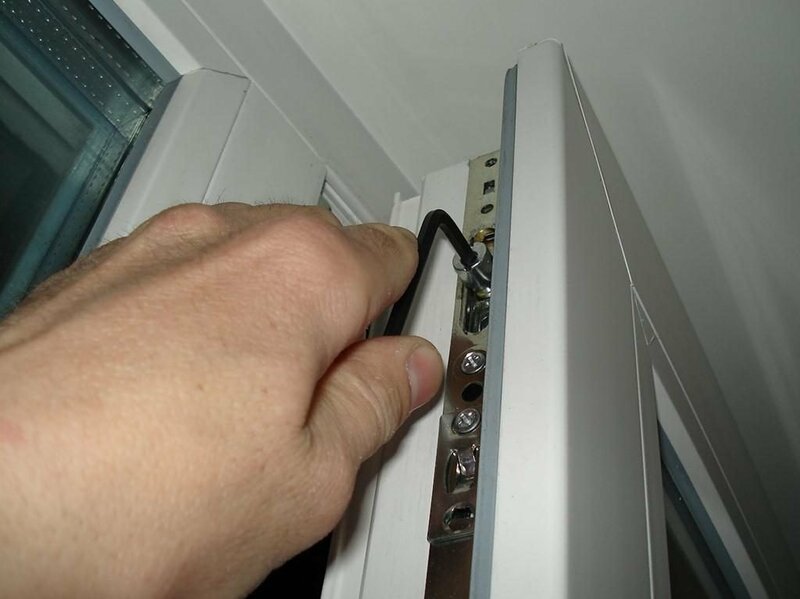 Usually on the doors of plastic or metal are installed overhead loop buried type. In systems without impurities of metals, usually two mounting assemblies. In the presence of glass is considered to be optimal variant with three fasteners. 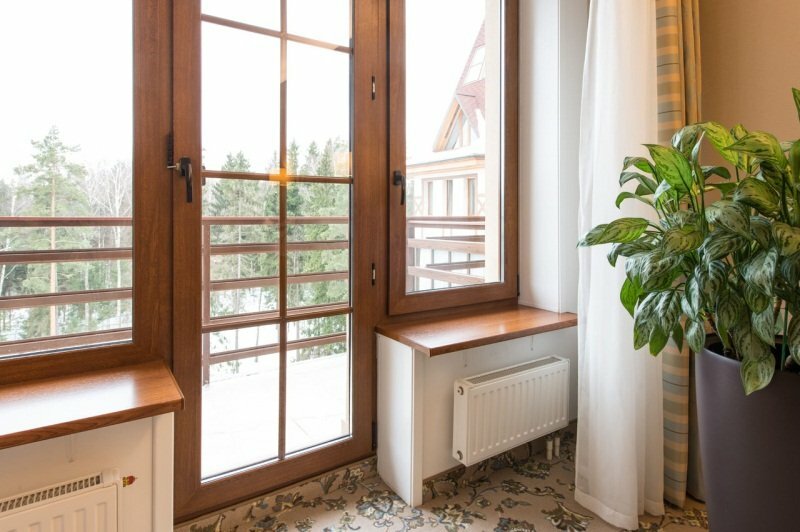 Curtains regulate several different ways. They are directly connected with the adjusting canvas height, and with its movement from right to left. Adjustments are made with adjusting screw. Fold at this time needs to be ajar. Movements are made clockwise or counterclockwise. It is not necessary to twist only one mount, because the profile can form a curvature, and when the door is opened to receive the creaking or crunching. The need to adjust the hinges and canopies will show you the drafts, the cracks, slowing or complication when closing the sash. 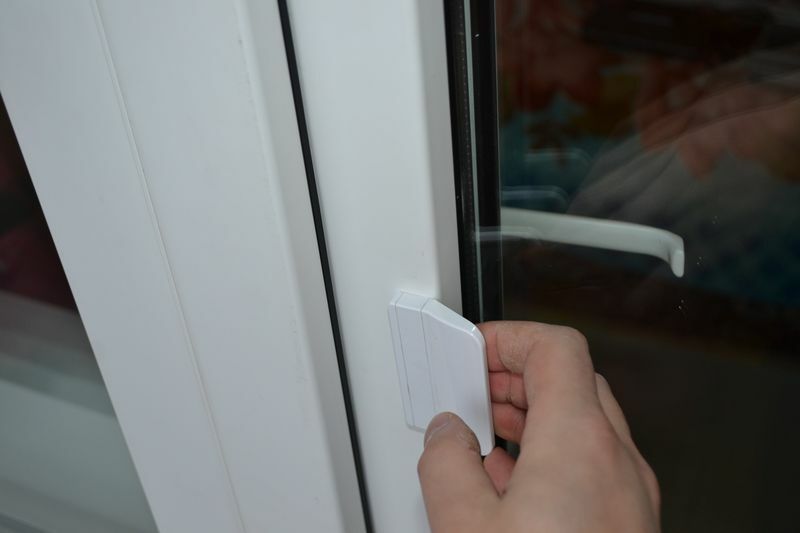 Prevention of defects will significantly increase the lifetime of door assemblies plastic. 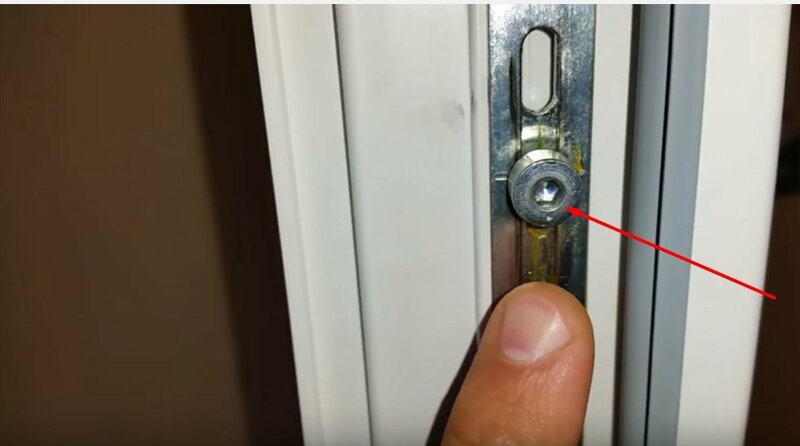 Violation of technology of installation of the door system will lead to serious problems which will not be possible to fix by common adjustment. This type of adjustment involves moving the sash parallel to the top and bottom of the structure. The door cling to the top around the carrier rack or over the threshold near the opposite. The canvas is subject to thermal expansion, which amplifies the above problems. For adjustments you will need 4-mm 6-sided key, at least — another tool. Screw for horizontal alignment is similar — horizontally. To complete the task open the door, start in the key hole and twist. Clockwise rotation will pull the leaf to the loop and raise the bottom on the opposite side of the rack. Movement of the tool in the other direction will lead to the opposite result. 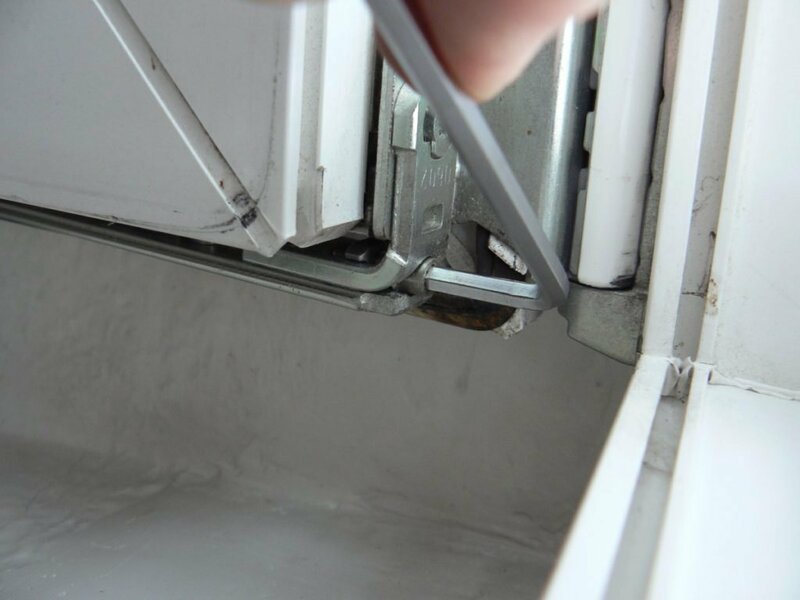 If it is necessary to eliminate rubbing or to neutralize the effects of thermal expansion, it will take effect on all door hinges. Cams is designed to control the density of an adjunction of door frame parts to each other. The principle of operation is similar to the function performed by them in window designs. The density of the clutch is regulated by rotation of these eccentrics. There is a clear sequence of actions for a maximally tight closure. First, the loops are released from decorative flaps. Then opened the fold and pressed the lock. Then the top door is hinged for receiving a normal access excentricum. Further rotating the screw. If the desired level of tightness is reached, will only produce a follow up. Moving parts should be lubricated. Then pressed the lock and the door returns to its original position. The most pressing is ensured by the position of the eccentrics at the highest level. After adjustment lowered the safety bolt, shift details and tightened the mount. The most common problems are misalignment, sagging, gapping, difficulty in turning the handle. In the worst cases, the door stops closing at all. If the situation is more lightweight, and the canvas is simply no longer tightly fixed in the opening, the reason is exclusively technical nature. Most likely, you will need to adjust the fittings. But if the sash does not go into the frame at all, so will have to look for damage. 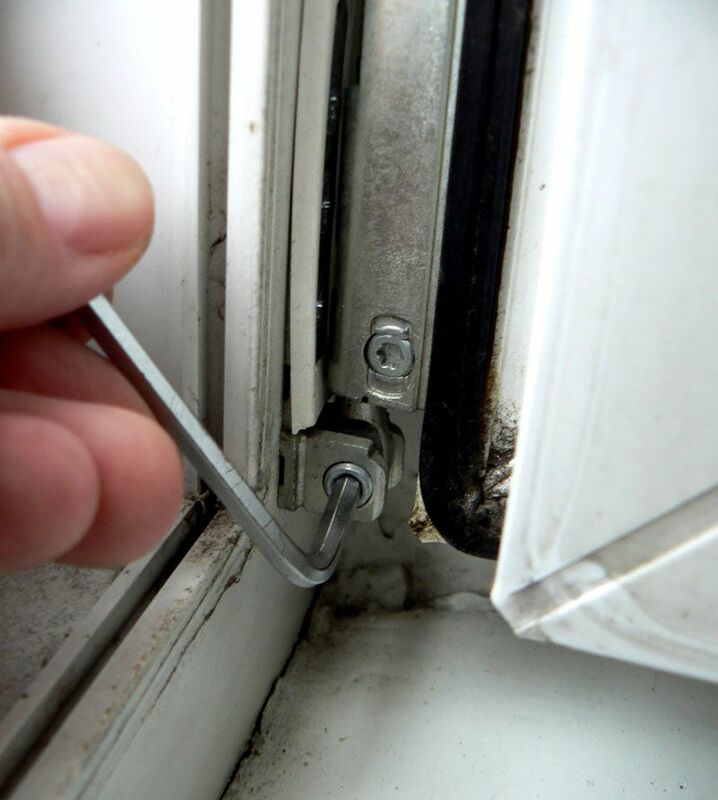 The most common causes of problems become unsuitable accessories, any foreign objects in the door mechanism or violation of the integrity of the structure. Less unpleasant than jamming doors, but more often negative moments are sagging or misaligned doors and the inconvenience of turning the knob. If in the latter case the cause is too sudden movement of the pen or fold, warping and sagging are caused by excessive load on the axis of the door Assembly. The hinges are integral elements of the loops and other fastening components. Built-in spherical bearings, for example, reduce wear and make the opening process easier and smoother. They, like other hinges, should be lubricated. Depending on the detected defect, there are 3 ways of settings — vertical, horizontal, and frontal. In the first case, you will need to remove the protective cap and insert a screwdriver into the hole in the end. The horizontal adjustment provides adjustable screw. During manipulation of the tool should extend the canvas to the loop. The third method, front, implies adjustments on the opposite relative to the hinge pillar. There may be hinges eccentrics. You can work with pliers, wrench or other tools, it all depends on the individual case. First you need to choose and purchase a new one. Typically, a plastic rubber band. For plastic construction will require material appropriate form. These seals are of 2 types: for frames and sashes. Old gasket removed just. First select a place where it can be picked up, and then a sharp movement she pulled out from the groove. Next, clean the groove from dirt and dust. In a clean groove then insert the end of the new elastic. A cushion set up in the groove entirely. Then hold your finger along the tape, pushing the pad into the groove. Kantik stay outside. He will assume the role of protection from drafts and dust of the street At the same time you can adjust the door. 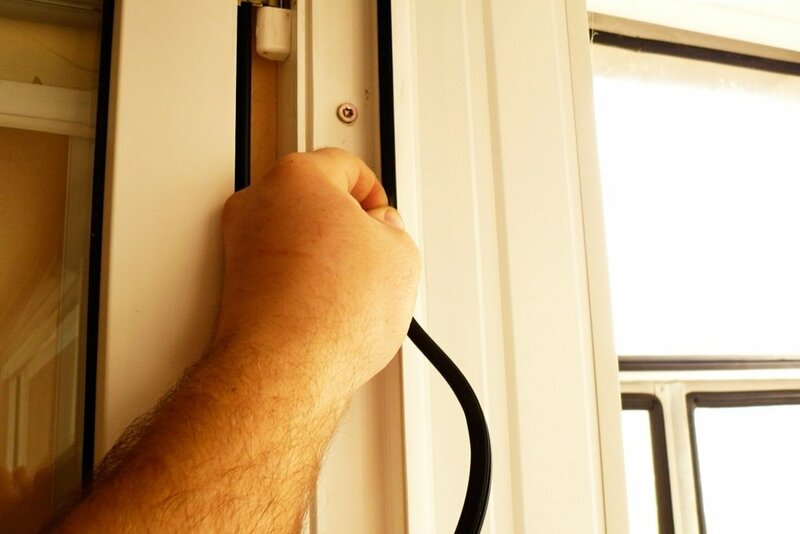 The installation of the seal is also possible to adjust the density of an adjunction of door. 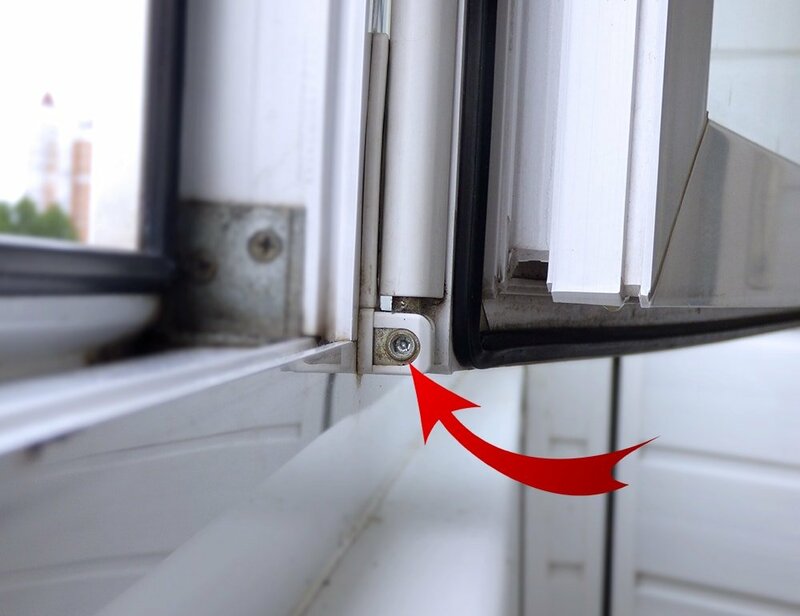 In combination with installation of high-quality sealer should also deal with the compression of the door, scrolling through bolts to clamp the blade. This is especially true in the period before winter. Adjustment knobs — one of the most simple manipulations. In the home mainly there are such types of faults as tight and hanging out. The imbalance is corrected the same way. First, the 90° turns of the protective plate covering the mount. Move the insert to be careful, since it is made from thin plastic. When the access the adjustment screws, there are 2 choices. Turn the screw more tight, if the problem is to see if they are loose the handle. Conversely, by loosening our fixation, if the knob is tight. Then put the plate in its original position and check the connection. If backlash is still the same as initially, it is possible that the housing has a crack. In this case you will need new hardware. If the door is double-leaf, half are regulated alternately. First check whether the slack fold, and how it attaches to the frame. Then you need to know is not blowing whether of the gaps. This is a regular sheet of paper. Then you should check the quality of fixtures. If necessary, model the gasket. However, the main aspect of the training cycle doors in winter/summer is the clamp. Its effectiveness is determined by the cylindrical element, an eccentric. To adjust the detail you need with a flat head screwdriver or a hex wrench, depending on configuration. If the Cam is smooth, then to rotate first you will need to pull the item from the roadway. Maximum tightness is guaranteed 6-sided key No. 4. The mark on the eccentric should “look” in the direction of the surfacing with which the cloth is pressed against the box. If you conduct this procedure properly, even in strong wind the likelihood of seepage of cold air will be minimal. If door edge mesh rack door boxes — it signals the sagging. Thus in the closed state in the upper part appear more or less visible gap. The technical part of correcting the defect would be in the adjustment of the gap between the loop node and leaf. This process is somewhat similar with the alignment of the sashes in the Windows. Eliminate horizontal distortion setting that allows you to move the canvas left and right. First, find the horizontal adjustment screw in the bottom hinge structure. The hole is located at the bottom of the hinge side of the door frame. By rotating the screw the canvas closer or away from the loop. In the first case the rotation is made clockwise, the second — against. Then checked the possibility of a free opening/closing of the door. Sash opens 90°, and if everything is in order, the position is governed by another and through the top loop. Usually enough for 1-2 turns of the key. the arrangement of reliable protection from the wind. To fully protect the door from exposure to impossible as to do without alignment. However, using the above methods, you can avoid frequent repairs and regulation. Experience shows that some problems can be prevented. You need to understand the importance of loops. The latter is intended for constructions where the load will be approximately 80 or 160 pounds. The importance and number of loops, however, not always. Calculated data items on the average on 200 thousand openings/closings. In any case, it is recommended to respect a certain margin of safety. Reliable protection against the sagging door is lifter. It has a strap, mounted on linen, and the corresponding element on the frame. 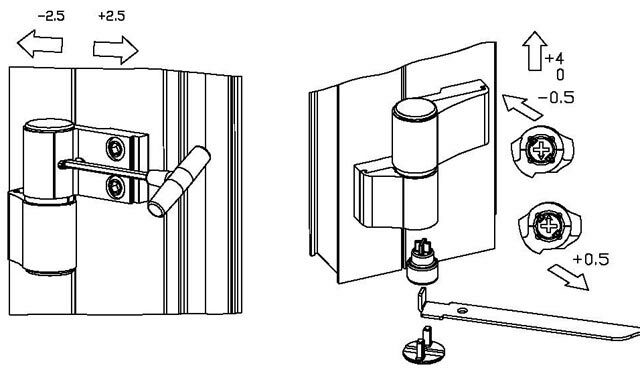 Both parts are connected when closing, slightly lifting the door and reducing the load on the loop. A few drops of oil also improve performance. The rubber seals will reduce the impact of strong winds and drafts. For maximum density rubber protection should be treated with a silicone pencil. Entry system made of plastic are made using plastic profiles with separate air chambers and ribs. The profiles are either of plastic, or with the use of rebar. To increase the structural strength of the frame members are connected to the metal embedded. Form frame construction, and products is very diverse — trapezoidal, rectangular, arched, etc. On the front door plastic mount special bolts, high security locks and security hinges. Multilateral locking mechanism provides for maximum density. 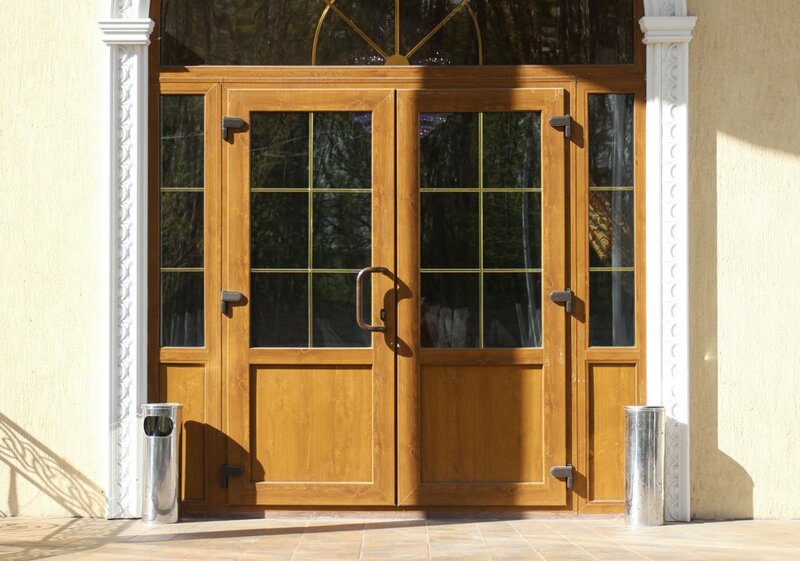 Plastic door of any configuration consists of items such as door leaf, frame and furniture parts. 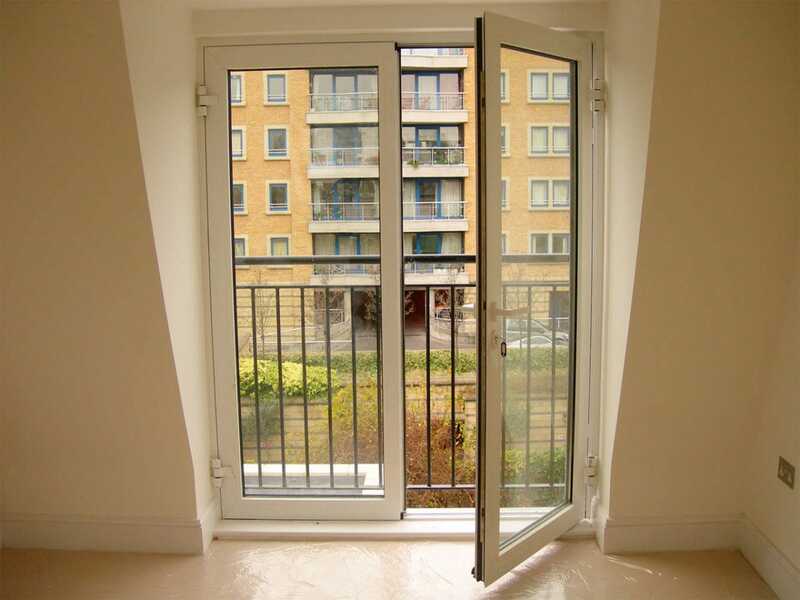 Unlike other type of doors, plastic can have a box from an integrated metal profile. 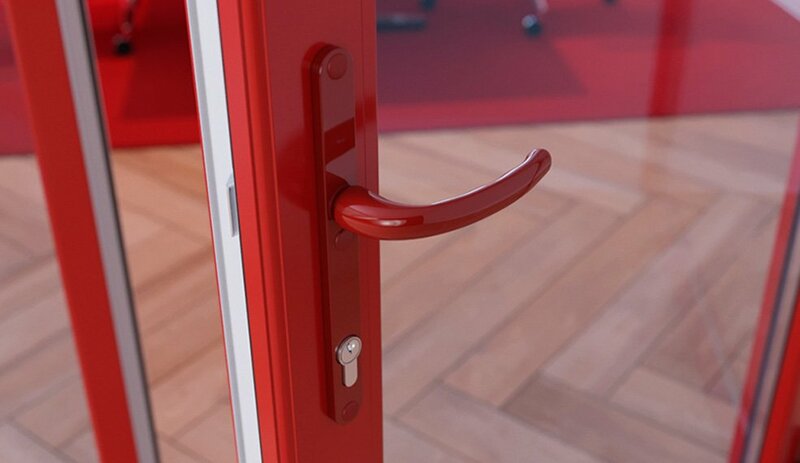 This device is designed to ensure smooth movement of the door. As a result of its use prolongs the operation of hinged loops and other fittings and therefore the whole door construction. Closers have to use in door systems in public places, because the door there opens and closes many times per day. Structural features of different variants of this fitting are much different — closing mechanism, place, and method of installation. At the place of fixation there are outer, concealed and floor closers. Devices of the first type are placed at the top, and the second inside blade and frame, a floor assembled in the sash and on the floor. The last subspecies is suitable for single sided and for double-action doors. The variant mechanism, there are two categories of door closers: knee (scissor) and slide transmission. Adjust the door closer will affect the overall speed of door closing. With the room it is better to decrease and input increase, but much depends on the specific situation. Using the door closer adjust the speed of Dohop (pressing the door to the frame), and intermediate stroke. In the first case we are talking about priorities: make a move fast or slow to relieve excess load on the door frame. In the second embodiment, by configuring, you can organize the passage of several people simultaneously. 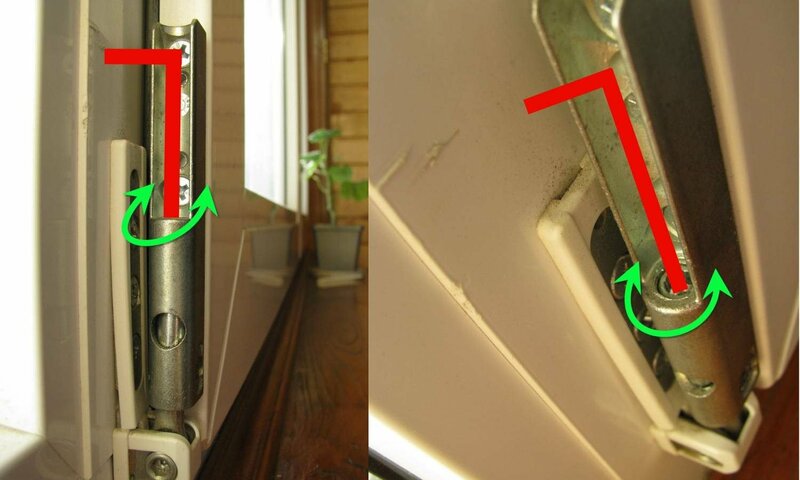 To adjust the door closer is not difficult, because it has a special screw. The closing speed of the door decreases, if you twist it clockwise. If the speed is changed too much, the bolt is returned to an intermediate position between the current and initial and set up again. The screws can not be unscrewed more than 2 turns. To adjust dohope setting is at 15-20 cm from the frame. Management of the third adjusting screw defines an intermediate speed. Using the same 3rd screw is configured delay closing of the leaf. Those wishing to purchase the door does not skimp on materials, hardware and design configurations. After all, once it appears on the key functions of the door. When a defect has already been discovered, you should contact warranty service. However, if the situation is not serious or the warranty period has expired, to remedy deficiencies alone. Often appear such problems as sagging of the fabric, its offset to the loops or the counter with the response strap, difficulty walking door when closing, reducing leakage and imbalance of accessories. Most of these defects are corrected conventional Allen wrench, which is easy to find. 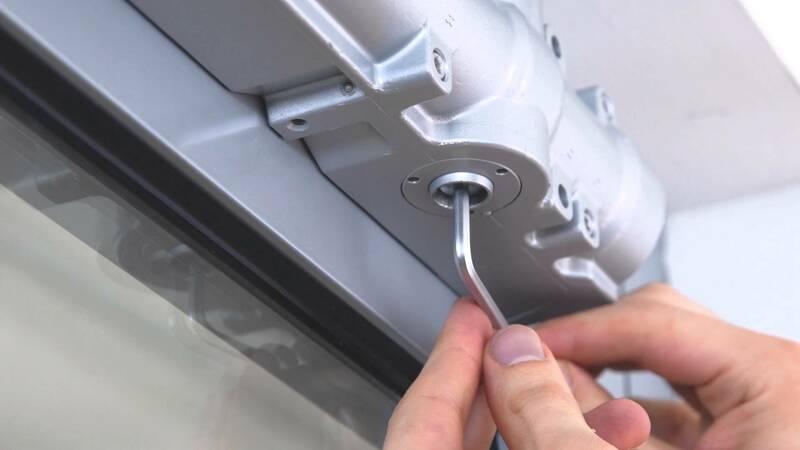 To adjust the door mechanism, it is necessary at least twice a year — before winter and a few months before summer. It is necessary to change the density of an adjunction of the parts of the box. 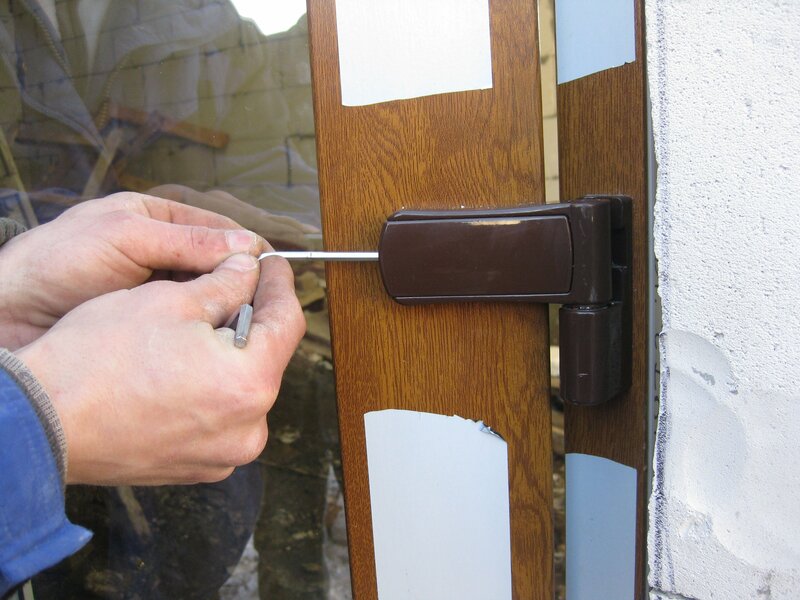 If in the process of setting up door mechanisms will be some difficulties, you should immediately seek qualified help.